You can pick which shares you sell to minimize your tax burden. 1. How Do I Identify Stock Lots to Sell? When you've been investing for a long time, chances are there are at least a few companies whose stock you've bought on multiple occasions and at different prices. When you sell some of your shares, picking which shares you want to sell can make a significant difference in how much you owe in taxes. And, the less you owe, the more of your profits you can reinvest or spend. Often, you'll either do a set of first in first out stock transactions, where you'll sell your longest-held shares first, or a set of last in last out transactions, where you sell your most recently bought shares first. 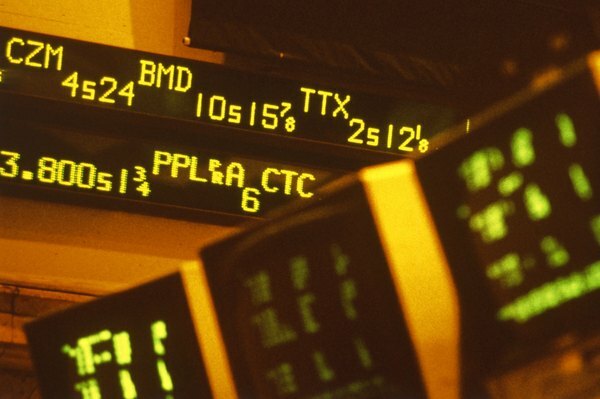 The first-in, first-out method is the default way to decide which shares to sell. Under FIFO, if you sell shares of a company that you've bought on multiple occasions, you always sell your oldest shares first. FIFO stock trades results in the lower tax burden if you bought the older shares at a higher price than the newer shares. For example, if you bought a bunch of stock before a recession, and then bought additional shares when the recession bottomed out, you would minimize your tax burden by using the FIFO method. The last-in, first-out method works in exactly the opposite manner: you sell your newest shares first. The LIFO method typically results in the lowest tax burden when stock prices have increased, because your newer shares had a higher cost and therefore, your taxable gains are less. For example, say you bought 150 shares of Company A stock for $40 per share six years ago and another 150 shares of Company A stock for $50 per share four years ago. If you're selling 200 shares today for $65 per share and using the FIFO method, you sell 150 shares with a cost of $40 and 50 shares with a cost of $50. That gives you a taxable profit of $4,500. If, in the same scenario, you use the LIFO method, you sell 50 shares with a cost of $40 and 150 with a cost of $50. That gives you a taxable profit of only $3,500. If you've held shares for more than a year, you'll pay the lower long-term capital gains on them. If you've held them for less than a year, you'll pay your ordinary income rate on any gains. If you plan to use any method besides FIFO, including LIFO, you must specifically direct your broker as to which shares to sell so that your taxes end up the way you want. According to Internal Revenue Service Publication 550, the burden is on you to prove that you informed your broker of which shares you wanted sold and that your broker followed your requests. If you can't prove that, you're treated as having sold your oldest shares first. Under the tax law changes going into effect in 2018, ordinary income tax rates are generally lower while capital gains tax rates are only slightly changed. That means that if you pick shares to sell that you've held for less than one year, you'll pay less additional tax than if you held on to them for more than a year. As of 2017, ordinary income tax rates are generally higher, meaning more of a difference between long and short term capital gains rates for many taxpayers. Do I Pay Taxes on Stock Income If I Invest in a House?